We continue with our series of The Army Painter reviews with a look at two of their licensed Warpaints paint sets: The Dungeons & Dragons Adventurers and Monster paint sets, designed to compliment Wizards of the Coast's and Gale Force 9's Nolzur's Marvelous Miniatures. 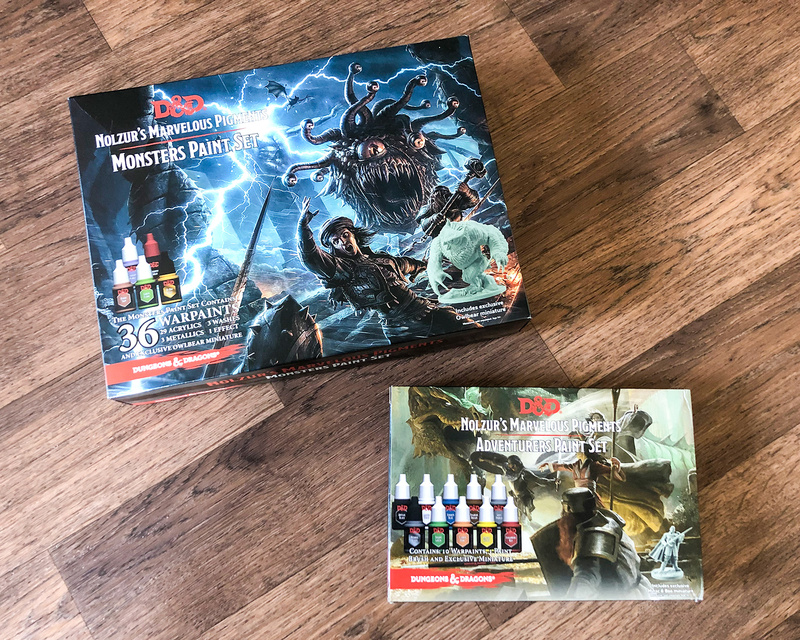 These sets are not limited to just painting D&D miniatures but offer you a decent selection of colours. They are great for starting or expanding your paint collection. Find out more after the jump.